Who showed "Genius Merry Maker" and "Bay Midnight W.", " ??? 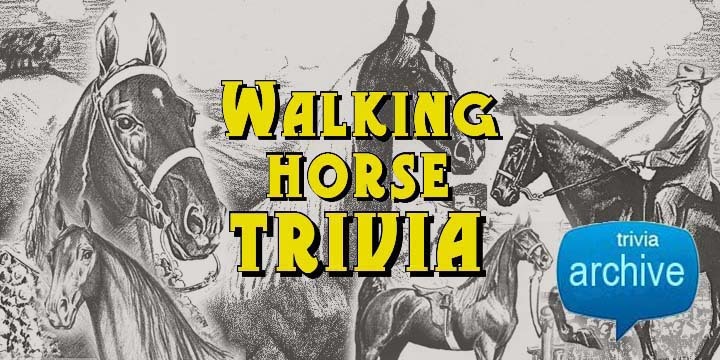 Like, I don't know any horse trivia....do any of you people??? Floyd, you seem to know quite a bit. Why don't you ask the folks some trivia questions, huh? oh jeez!........I wouldn't have a frickin clue man! Maybe some of our guests might know and want to answer that one? Hey, Floyd..........you wanna White Russian???? Hey YALL GUESTS can ask our expert panel & Floyd some trivia questions if ya want! In the 1980's, this horse set a new record for the number of wins by a horse at the Celebration. If I remember correctly, Mr. Delight came into the 80's with the most Celebration wins. This record was later broken by Gen's Fire & Ice but this may not have happened until the early 90's. Also in the 80's, this horse set a new record for the number of WGC titles to be won by a mare. OK.......somebody answer this one. It's TOO EASY!!! Hey, that's my FAVORITE mare of ALL TIME! Loved her and got to see her a lot when she was 3 and 4 here in Ky.
.......but that's INCORRECT according to "VOICE" Magazine!!! Well...I worked for the "Voice" during those years and should remember...what I do remember is doing ALOT of win ads for that great bay mare...and if she isn't, then she's close to being the leader. EGBD was just wicked good, and one of the few totally great horses that I don't remember ever seeing a bad show from. Maybe Elegance is the answer to your question? Just saw that yesterday in a late 80's issue. She was a walking little fool too. Another awesome mare! Wow...We really didn't know what we had in the 80's just with those three mares alone. That's what made coming to the Celebration so special. You know MUCH more than I..........I'm just the gatekeeper here and a decent researcher. Hey.........did you know I came down to see you at RUPP ARENA a couple of months ago??? I talked to Sara Gee. You were out at the Horse Park watching Dressage. Smitty...I did not know that I missed you at WEG...sooo sorry. I would have loved to catch up with you. The Dressage at WEG was just incredible! It's just almost unbelievable how far the horses in that sport have come. It was a treat to see that black horse that won it all, but there were many great ones there. I also attended the reining events which were spectacular. Well, let's get through the holidays and plan to catch up sometime. So sorry I missed you in Lexington. Thanks for stopping in! We'll chat later. Thanks for your support. sniff.........it's just like old home day! Awwww....Smitty, don't cry (here's a hanky )...you should be happy!